In celebration of our company's centennial we will start sharing various photos, documents, and everything attributed to Aiken & Company's success over the last 100 years! None of this would be possible without our founder, J. Boone Aiken, (photo on the right), but just as important, our loyal clientele over the years deserve a THANK YOU for the support. They are the true testimony to our longevity. I hope that everyone enjoys the forthcoming posts throughout 2014. Please share accordingly, as this a true milestone that has been proudly achieved, especially for a small business. As a company, a family, and a supporter of the community, we hope the impact of social media will boost the recognition of this honor. From all of us at Aiken & Company, Inc., we are blessed and thankful to be associated with such a respected name in the Florence area and beyond. 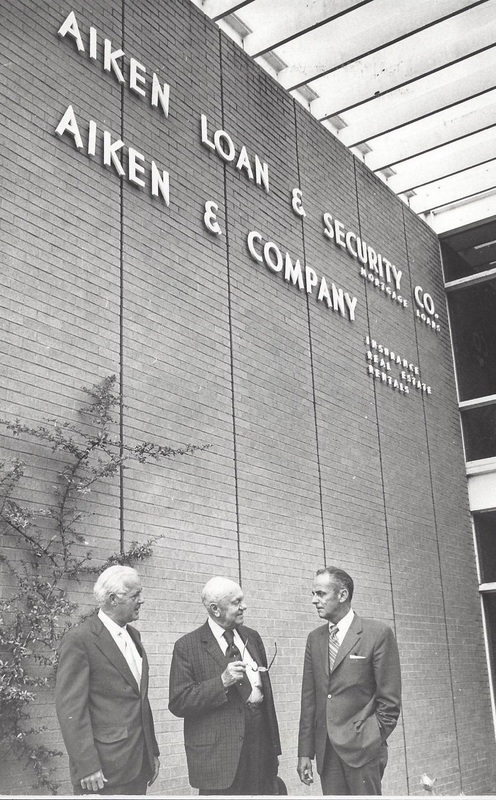 1938: Aiken organized the Aiken Loan & Security Company to originate and service mortgages. 1950: Boone Aiken and John G. “Doc Hyman bought a major interest in the Guaranty Bank & Trust Company. He projected it as the Home Town Bank. 2014: Aiken & Co. celebrates 100 years of business! J. Boone Aiken (founder), circa 1920's. 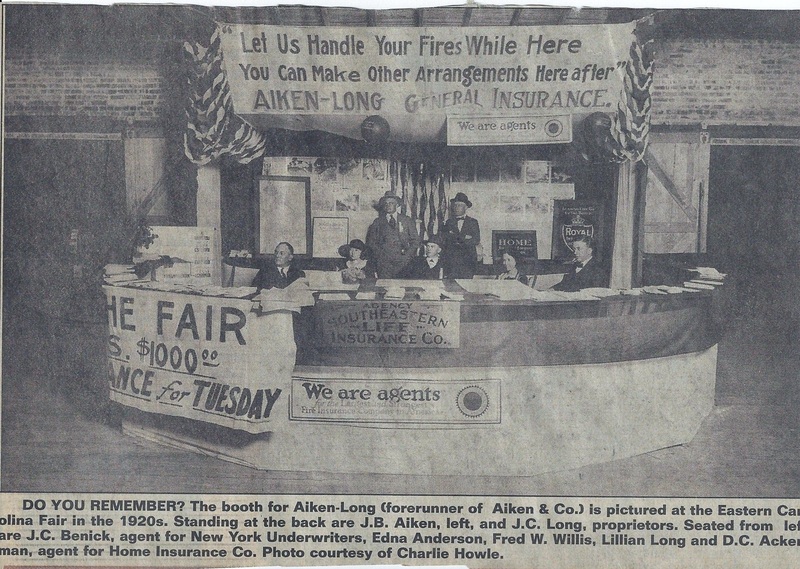 Prior to the agency being named Aiken & Company, it was Aiken-Long. It subsequently was merged/acquired by Mr. J. Boone Aiken, but at the time he was the general agent in Florence, South Carolina for the Southeastern Life Insurance Co. The original location of Aiken & Company. At the time it housed the bank, Aiken Loan & Security. This was all owned by Mr. Aiken and family, along with a few shareholders. The older location housed Aiken Loan & Security and Aiken & Company Insurance and Real Estate. Pictured with Mayor David H. McLeod, are J. Boone Aiken, President and CEO, and his son O.S. Aiken. All were partners in the aforementioned business.